All items are cut 3 feet in length. 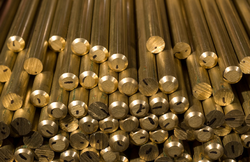 View our "Guide to Brass" for available grades, shapes and addtional information. With an aim to stand tall on the expectations of our esteemed clients, we are providing Brass Rods. Under the vigilance of our vendors’ experts, this rod is manufactured using quality tested raw material and the latest technology. In order to provide a qualitative product to our valuable clients, we sternly check this rod against different parameter. Since our inception, we are instrumental in offering premium quality Brass Round Bar that is used in automotive engineering parts. Our offered round bar is manufactured by using premium quality raw material and cutting edge technology by our vendors’ experts. In order to maintain the quality, this round bar is sternly tested on different parameters. 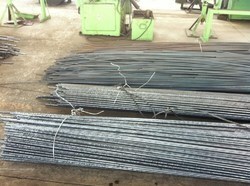 Besides, we provide this round bar in different specifications, as per the demands of our customers. M42 High Speed SteelM42 high speed steel stockholders and suppliers, delivering to the whole of the UK. 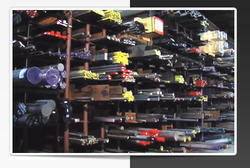 West Yorkshire Steel are suppliers of M42 in round bar. This grade is a cobalt molybdenum high speed steel which achieves a high hardness and superior hot hardness. Excellent cutting performance can be achieved from tools made in M42 high speed steel. With the high heat treated hardness of up to 70 Rockwell M42 high speed steel also offers excellent wear resistance. 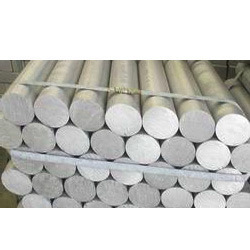 Mhavir Metal Corporation is a leading supplier and exporter of M-2 (DIN-1.3343) (IS-XT8W6Mo5Cr4V2) High Speed Steel Round Bars in Mumbai India. These M2 High Speed Steel is a common Tungsten-Molybdenum type high-speed steel. These are widely used in various industry such as machine tool bits, shaping tools, woodworking tols, cold forming tools and cutting tools etc. We are supplied in squares, flats and rounds bars. Being a customer oriented firm, we are engaged in offering a quality approved gamut of L M 4 Aluminium Casting Alloy. Our offered casting alloy is manufactured at vendors’ end using quality approved raw material and advanced technology in adherence with industry norms. Owing to its different features like rust free and sturdiness, this casting alloy is highly praised in the market. Furthermore, our quality examinerstest this casting alloy on various industry parameters. 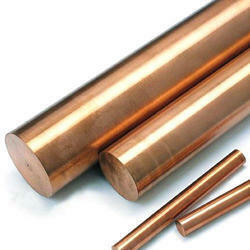 Looking for Brass Round Bar ?